Super Eurobeat 222, Official discussion thread. From this release onward, it confirms the will for Avex to release a new compilation every 2 months. Hopefully, this will ease your wallet if you were buying the album every month and I also hope that they'll take the occasion on making better content. I'll be updating this post as more news come in. But it's good the series is back. Well, my ears can't believe that news but my wallet is very happy about it. I feel it's a good move for people like me. Need time to slowly appreciate every single track. Can't always keep up with the new releases. Last night at SEF they taught Kaioh - Sunlight which is to be on this CD. It sounds like an SCP track to me. Yeah. Less then one month now. Cool album cover. Almost looks like a throwback to the 1930s. Now we just need the song list. 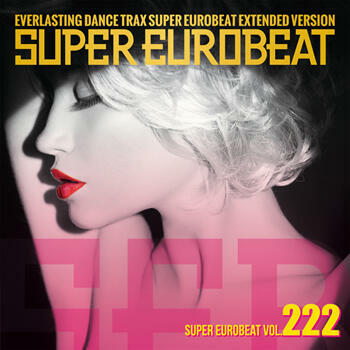 Last of Eurobeat? Not sure if I like the sound of that. And what's with the reissue of the two tracks from the last album? Anyway, thanks for the track list! That songs will possibly be my favorites. Haha . I was just trying to be sarcastic but thanks for the clear up. Yep, can't wait to have my copy! This seb looks very promising with those track names and thw two samples exposed here. I loved both samples, especially Last of the Eurobeat. Dat 160's power. I ordered my copy yesterday, now let's wait 3-4 weeks. Bad joy by tora preview on youtube. Mine is coming by thrusday. Shipped yesterday! So excited. Arriving in CO on march 21st. You must have shosen Express shipping because, for me, it's not before next week unless they shipped it last week and sent the e-mail a couple of days later. It happened to me before numerous times. 1.30 min samples are up on iTunes Japan btw! Aw man! it's great to be back in to getting some frequent releases! Looking forward to tomorrow! Here are the previews for SEB222. All 16 tracks have 1:30 long previews. I ripped them from iTunes.